8 out of 10 young people in America want to start a business according to Gallup. Despite their aspirations, many young people don’t feel prepared to start and build a business, largely because of a lack of entrepreneurship education and practical experience. With their goals to not only start businesses but to also change the world for good through business, we want to do our part to ensure that young people everywhere are well equipped to take on the opportunities and challenges that come with entrepreneurship and being a force for good in the world. 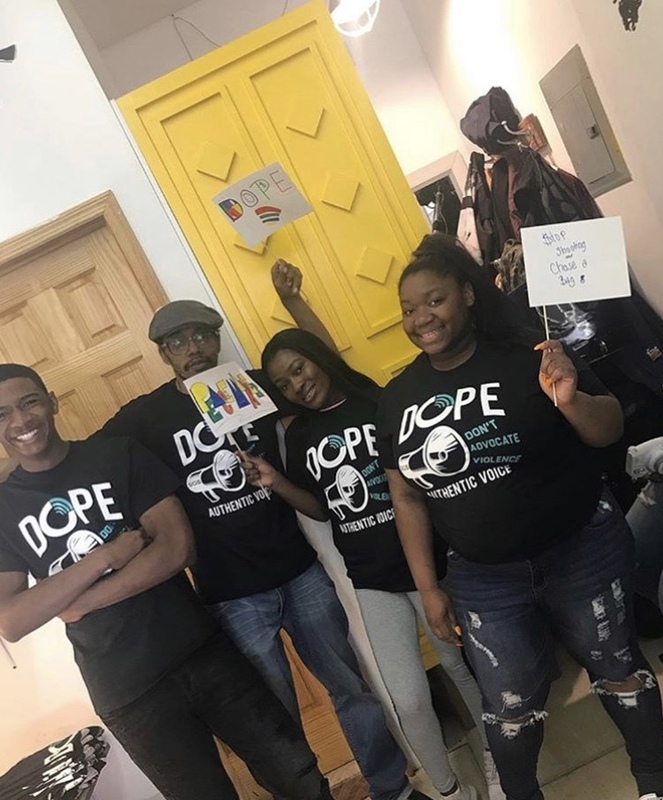 Progress Playbook teamed up with SOS Crown Heights Mediation Center and other community partners to deliver our experiential youth entrepreneurship program, Start an Empire. The program trains young people on how to start a business by practicing the startup experience. 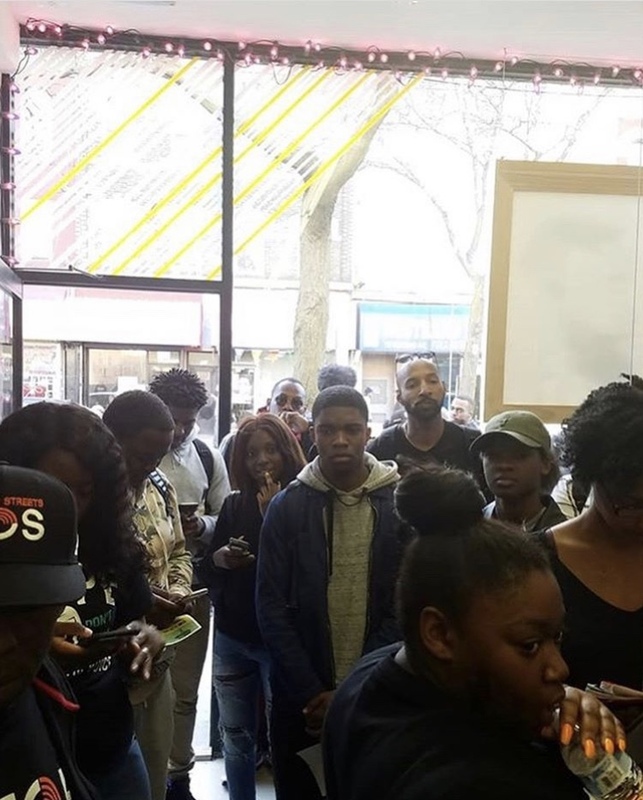 Over several weeks, participants received business training from business owners and experts, launched a t-shirt line, organized a pop-up shop in collaboration with a local business, sold out of their t-shirts at the pop-up shop, and then split the profits amongst themselves. 30 participants were trained on various business topics including mindset, product development, branding, marketing, sales, finance, and operations from local business owners and experts. 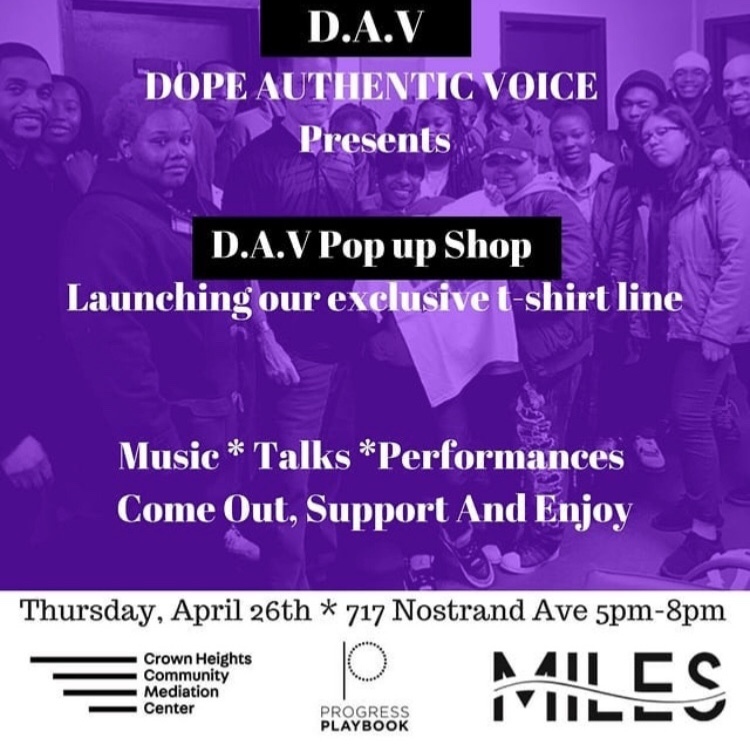 Participants launched a clothing line called Dope Authentic Voice (DAV), with a mission to bring awareness to gun violence in their neighborhoods in NYC. With the support of Reconnect Brooklyn, and local graphic designers, participants designed and manufactured their first t-shirt line. Participants organized and promoted their own pop-up shop, in partnership with Miles Culture, where they sold their t-shirts. With the support of local community patrons, participants sold out on all their inventory of t-shirts in under 2 hours. Participants made over $1,000 in sales from the pop-up shop. The DAV clothing line and pop-up shop were many of the participants first business. They learned how to design, organize, promote, sell, present, analyze data, make money and more. Connect with us to bring customized entrepreneurship and business programming to your organization.